But this isn’t why Stalker is so special, it’s special because of something much more difficult to explain (but I’m going to have a go). The three men ruminate on their journey. The inclusion of Ted Danson and Steve Guttenberg was out of the question. There is no consensus on the meaning of the film. It is loaded with images and the suggestion of some kind of message but even the most straightforward of these is open to debate. 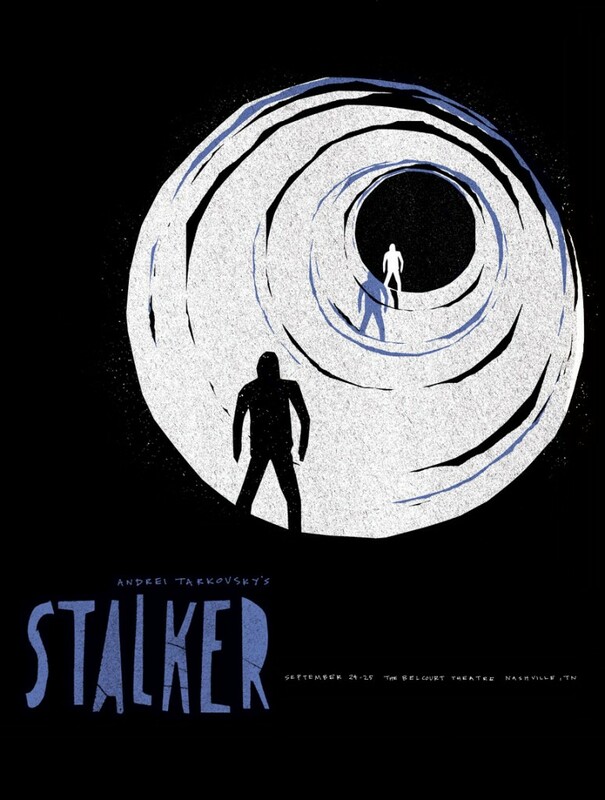 It appears perhaps that Stalker is a film about the process, about the journey to realisation and about how that journey is of a greater importance and significance than its end. 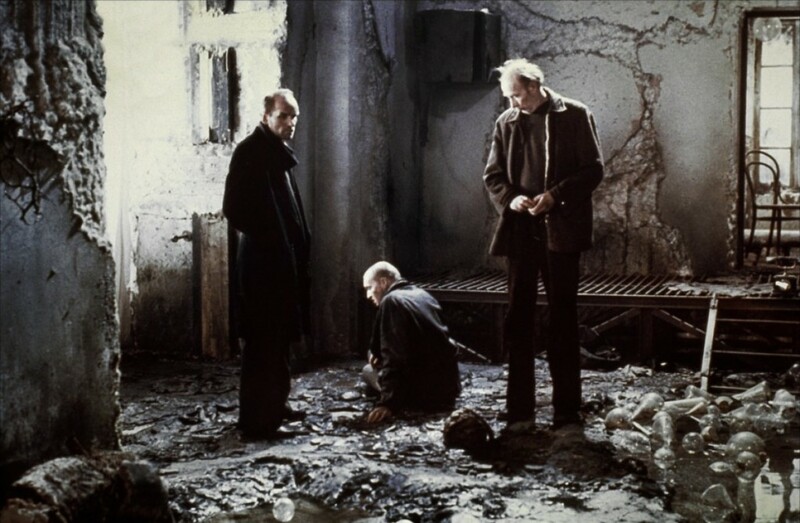 Although, given its nature this interpretation is likely as accurate as the numerous other theories about the film; that it functions as an allegory of the perils of intellectualism in communist Russia, life in a Gulag or indeed as a representation of the hidden Kyshtym nuclear disaster. You see, it doesn’t respond particularly well to being nailed down because it has no concrete answers. And why should it? 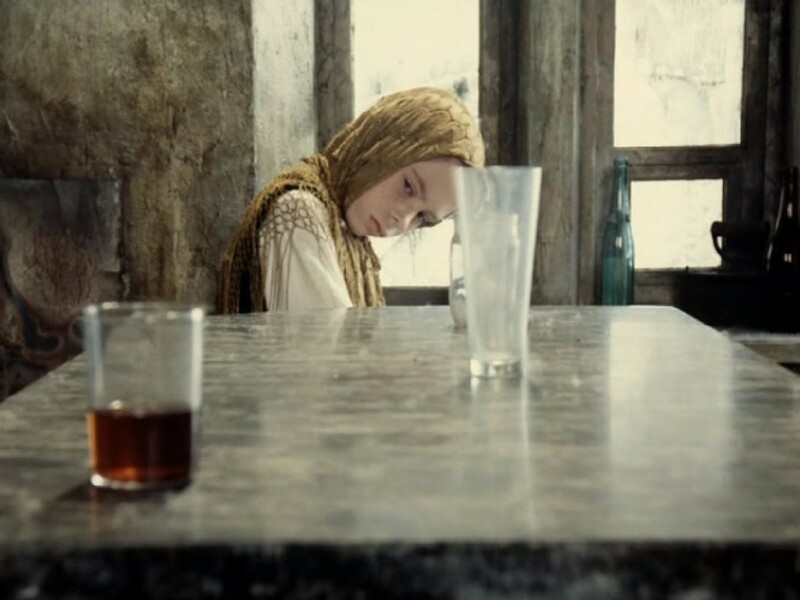 Perhaps Tarkovsky has created a film with the kind of interpretable imagist framework and structure that it merely reflects back at us what we want to see. Perhaps, or maybe it is just a very slow, lovingly photographed film with some lofty sci-fi ideas that are never fully realised. Here’s a lofty idea of my own: I’ve been toying with the notion of a kind of film criticism that would take a kind of New Historicist approach, loading the meaning of the film text itself with an understanding of its method of production and subsequent reception. You can’t ignore the circumstances around a film’s creation and the way this impacts on the text itself. I’m reticent to use the word ‘holistic’ because it always sounds quite twatty but in this case it might just be right. Understanding anything to do with Stalker is to understand the circumstances under which it was created, the minds that shaped it and the way it came to define the careers of those involved, before being potentially culpable for ending their lives. The Stalker (right) slowly wears down under the sheer weight of the mission. So what is the story of Stalker’s creation? Adapted from sci-fi novel ‘Roadside Picnic’, the external shots to be filmed twice because the Kodak film being used was unfamiliar to the Russian processing lab (or potentially even defective) and ruined during the development process, losing the shots for good. It’s difficult to understand quite how much of a setback that would be today but in a system where money had to be lobbied from the central agency of Mosfilm, convincing them to stump up again after so much has been pissed up the wall couldn’t have been easy. There’s more on the story from editor Lyudmila Feiginova here or from sound designer Vladimir Sharun here. I joked to the person I was watching the film with that the bleak settings, burnt out cars and abandoned industrial buildings were how I imagined sections of Russia to look anyway, it turned out that Tarkovsky shot many of the interiors in an abandoned chemical plant in Tallinn. That rank water they wade through, that wasn’t set dressing. Monkey, the Stalker’s crippled daughter. Is she the key to understanding the greater meaning? With all that in mind the film takes on some of the arduous nature of its creation. It is hard work to watch it. It requires patience and persistence. It forces you to think, you have to think because it doesn’t bother to fill in any gaps for you. Despite the repeated suggestion that the zone is riddled with danger there is very little in the way of visible threat, Tarkovsky uses stillness and implication throughout. These men, possibly representing aspects of human character (Writer is the creative/poetic, Professor is rational whilst the Stalker seems almost religious), undergo profound revelations on their journey but it is the Stalker himself who seems most troubled. His looks of anguish and strain seem to show the experience bearing down on him. His pained expressions belie some kind of spiritual torture, his very existence, his calling, his confliction writ large across his face. And, well, I’ll stop there. 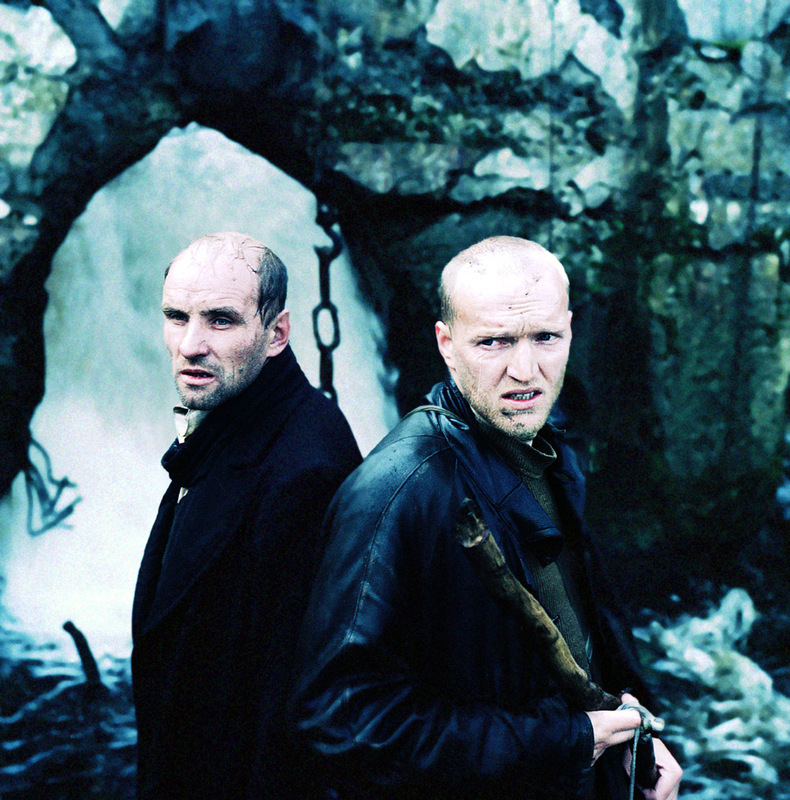 You have to watch Stalker. Not as some kind of elitist directive, not as an exercise in ticking boxes but if you want to talk about it you have to watch it. Because that’s when the fun begins, you can tease out meanings and thoughts on the text, you can start to engage with it. But it won’t be solved. It’s not that kind of puzzle.